I urge people who like to trade or invest to learn how to use options. Don't be scared to learn a new investment tool. I have recently repeated one of my favorite trades buying AMZN mini option contracts AMZN7. When AMZN dropped around the $290 mark I like to buy a few call options at the $295 or $300 strike price a few months out. It is a strategy were if a normal $295 contract cost $1700 you can buy mini contracts at 10% the price. So 2 mini AMZN7 contracts would cost $170*2. Risking $340 and benefiting unlimited on the upside and your down side is capped at $340. 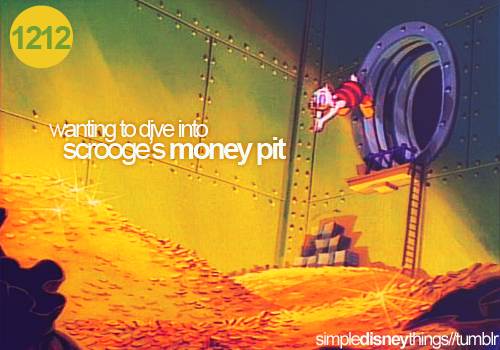 After the earnings release I hit what you might call the jackpot, or pot of gold, or my favorite a swan dive right into Scrooge McDuck money bin. I basically made 250% in a week and a half. Amazon does not pay a dividend but in the last year I have made over a $1,000. I did this using roughly $350 over and over investing in mini options. Where did I get the seed money? The $350 came from dividends from companies like (PM) Phillip Morris and (MCD) McDonalds. Using cash cows to fund other investing opportunities. Managing RISK is important when investing in a company like AMZN who's P/E is crazy to put it mildly. It is good to limit one's downside if things go wrong. The best part is I can reinvest the $1,000 back into my cash cows when they are at lows. Month 6 Recap of the Stocksnowball Portfolio! End of Year Results and 2015 Goals! In 2014 was a great learning experience and 6 months have been recorded in the Stocksnowball portfolio (SNB)! The reason I say it was a learning experience is in 2014 the portfolio lagged my benchmark of the S&P 500. I feel strong about my portfolio and it will take some time for the companies to make changes. This is something I knew when I made the purchases. 2015 could be a big year! First goal is to outperform the benchmark in 2015! Taking a look at the monthly transactions the haul for Dividends was $67.42 and interest of $2.62. The purchases this month include Whiting USA Trust II (WHZ) and Verizon (VZ). WHZ for me is another place to park some cash it will pay me outsized dividends that can be used to fund other positions. The trust has many years left so a longer time horizon is needed. I really fell good about the priced purchased and many years ahead of the trust it will out pace any cash position and hopefully have a solid return compared to others in the portfolio. VZ is a solid dividend company and another cash cow for the portfolio to help build income it will be interesting to see how much support for the name leaves when interest rates rise. The sells were the same position BWLD but I have been selling small chunks on the way up. I feel strong about the company and left some on the table but wanted to lock in a profit. Sell Buffalo Wild Wings Inc. The yearly dividends and interest are $160.43 or $26.74 monthly. The 2nd goal is to double the dividends earned monthly to $53.48 the process has started by adding WHZ and VZ. This will help fund the account while looking for good companies to invest in. The last goal for the portfolio going into 2015 is to reach $30,000. This will be helped with the deposits this year of $5500 but that will leave $4353.39 needed to reach the goal. A 16.97% gain in value after the deposits. Its a lofty goal!